Education Qualification : Asst Engineer- Passed BE/B.Tech Degree in Electrical/Electronics/ Mechanical Engineering from any Recognized University and 2 Year Work Experience in Similar Field. Dy Architect- Passed B.Arch Degree and Registered with Architecture Council and 2 Year Work Experience in Similar Field. Principal Design Officer- Passed BE/B.Tech Degree in Electrical/Electronics/ Telecom Engineering from any Recognized University and 10 Year Work Experience in Similar Field. Refrigeration Engineer- Passed BE/B.Tech Degree in Electrical/Mechanical Engineering from any Recognized University and 1 Year Work Experience in Similar Field. Additional Asst Director- Passed BE/B.Tech Degree in Mechanical Engineering from any Recognized University and 2 Year Work Experience in Similar Field. Dy Director- Passed BE/B.Tech Degree in Electrical/Civil/ Mining Engineering from any Recognized University and 5/10 Year Work Experience in Similar Field. Eligible Candidates can Submit Application at the Official Website of UPSC latest by 1st November 2018. 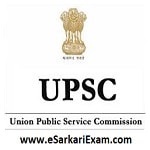 Applicants First Logon to UPSC Official Website. Click on Apply Online Link at Home Page. Now Click on Online Recruitment Application for Various Post Link. Open Advt No 18/2018 and Read Notification and Check Eligibility Details. Read Form Filling Instructions Carefully. Register by Clicking on Appropriate Link. Pay Application Fee and Upload Scan Photograph and Signature. At Last Candidate Submit Final Form. Take Application Printout for future Reference.